Remember that time when you had to attend that Sundowner in your old jumpsuit only because you couldn’t afford a new one? Well, you don’t have to suffer and make such fashion faux pas anymore. 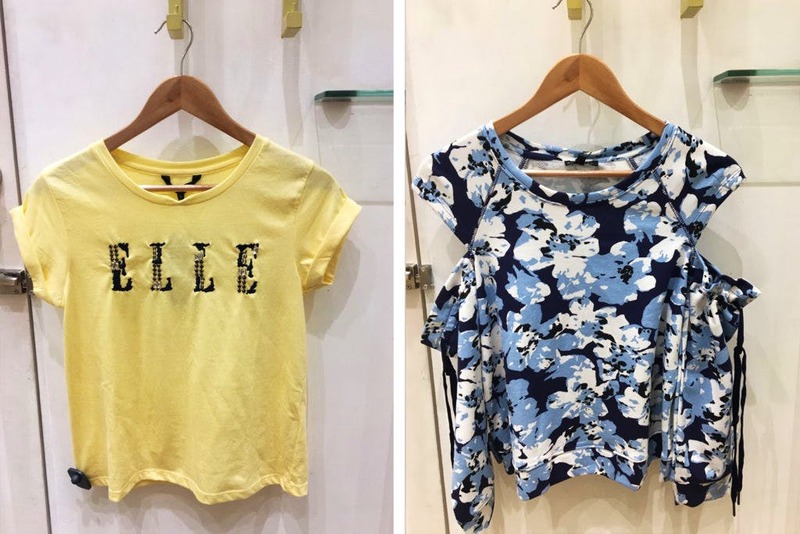 We found you some stores in Hyderabad where you can grab branded clothes under INR 1,000. A pair of jeans, a formal blouse, a sequin dress or summer top — hoard them even on a shoestring budget. If you’ve visited White House in Begumpet for some street food, you might have noticed Habiller for sure. Walk into the store (if you haven’t yet) and say hello to Forever 21, Nike, Adidas, Zara, and a lot more. Priced INR 150 upwards, this store is a paradise for not just students, but any youngster looking for trendy outfits on a budget. Plus, it has all things frills and tulles for your kiddies too. So, ladies and gentlemen, all you need is some patience and the knack to spot the best. Whether you’re in the mood for basics or cocktail dresses, Uber Hawt (true to its name) has a fantastic range of clothes. We’re eyeing those statement leather jackets and printed blouses from Vero Moda, AND etc. This store houses some favourites like Dressberry (by Myntra), Ginger along with shoes and stilettos. This store is our current favourite as there are plenty of choicest brands priced INR 300 upwards. If Indo-Western outfits are your thing, you must hit up Cool Club for fusion wear, printed skirts, cotton kurtas, and more. Stock up on clothes from indie brands that share aisles with Global Desi. But that’s not all, you can also find some elegant off-shoulder blouses, solid coloured formal wear, and scarves. With a good balance between Indian as well as western wear, you might find everything you need under one roof. And the best part? The cost isn’t high at all with stuff priced INR 200 upwards. If there is one store in Hyderabad where you can hoard the latest season collection of international brands like ASOS, Mango, Zara, and more, it is this. Pick from the shelves (at a bargain price) a leather jacket or two, flouncy maxi dresses, skater dresses, and blouses in various prints and patterns. We swear by this store whenever we want to get trendy stuff on a budget. Plus, it’s a haven for accessories! Located in one of the busiest streets of Hyderabad, Pabulu isn’t a store that you can miss. When you’re here, you might have to sort out your style from massive piles of clothes, but trust us, it’s worth it. With plenty of sundresses, t-shirts, and casuals from brands like Diesel, Mango etc., this store might just be your next favourite. So, go here and grab some bodycon dresses and the like.